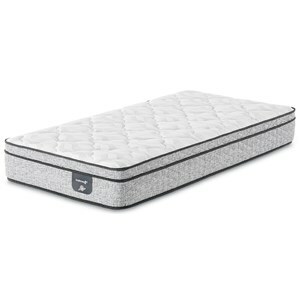 Get the great night's sleep you deserve with the Bronson Euro Top mattress from Mattress 1st. The 520 (Queen) MiraCoil® Innerspring system gives you more support in the middle of the mattress, where you need it the most. Just like it's name says, a layer of Gentle Support™ Foam provides extra gentle support while a layer of Gel Active® Gel Foam helps distribute weight evenly while providing additional support. The top features a layer of Gentle Support™ Aire that gives you great cushioning in addition to promoting airflow and a layer of EvenCool™ Fabric that will keep you cool all night long. This mattress is ideal for back and side sleepers. Browse other items in the Bronson ET collection from Belfort Furniture in the Washington DC, Northern Virginia, Maryland and Fairfax VA area.